According to lifestyle journalist Helen Russell who writes in The Year of Living Danishly, hygge is the practice of taking pleasure in gentle, soothing things. You can read my review here. Some of you, dear readers, are facing cold temps very soon: Canadians, Americans in the northern states, Britishers, Siberians. Even if you live in warmer climes, you may need to prop up your spirits on a dull, rainy day! Embrace nature: Take a stroll or leisurely bike ride; bring the outdoors in with wood, herbs, flowering plants. Feed your senses: “Warm your hands around a steaming fragrant mug” of mulled cider, your favorite tea or coffee. 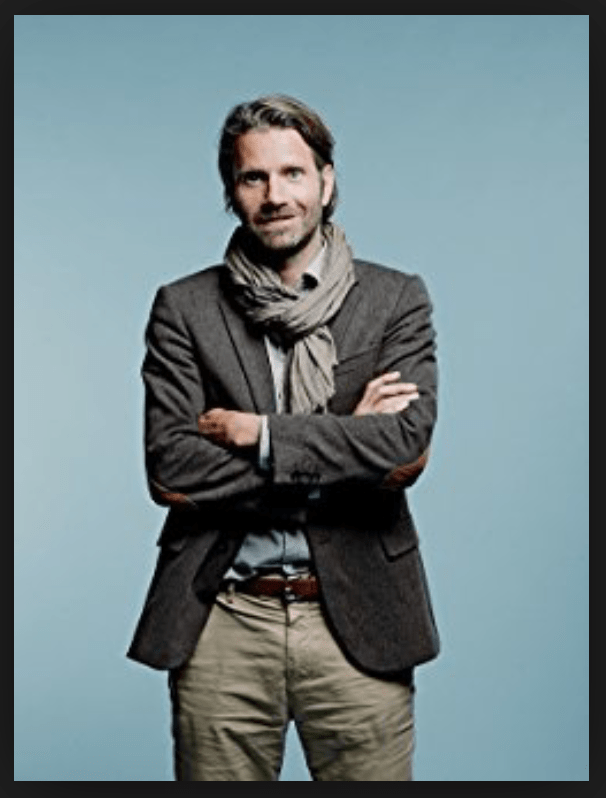 Meik Wiking, CEO of the Happiness Research Institute, Copenhagen, extols Danish Secrets to Happy Living, his book’s subtitle. He defines hygge as a feeling of well being, a word, originally from the Norwegian, which Canadians may translate as hominess, or the Germans, Gemütlischkeit. Coziness may also include a fireplace, vintage items – chocolate! – all of which may release the happy hormone oxytocin into our bodies. An Image that certainly says Hygge to me. “Hoog-ee what? she asks, wrinkling her forehead. “Ach, don’t talk so dumb, Marian. I don’t need to know about such a funny word. 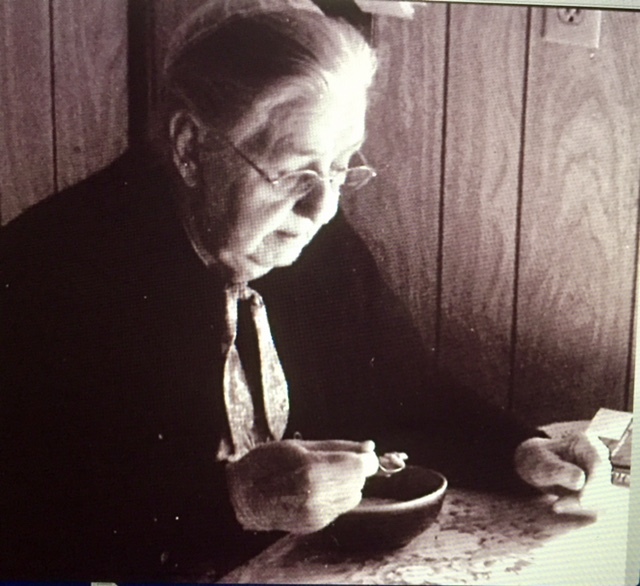 I just like to eat warm soup in my cozy corner,” she says holding her soup spoon steady. Maybe I should have said the German word Gemütlischkeit. She understood that word. I heard her say it. This is an imaginary conversation, of course. But I know my mom and how she thought. How I miss my Mother! What says “hygge” to you? How do you practice coziness? Who do you know who’s very good at practicing hygge? Good morning, a great post for this time of year, Marian. I wish we had a fireplace, but I have fleece pjs and blankets. We have wine bottles with lights and fake candles, as well as the real ones. We always have coffee and tea, but soon we’ll also have mulled wine and holiday baking. Observing your work habits, I can say you know how to hygge. You may even have been wearing fleece pjs as you commented here – ha! I wonder if I would smell the fragrance of soup stewing on your stove right now. Wine bottles with lights? Looks like romance is in the air, another kind of hygge, I suppose. I feel the oxytocin coming on Marian thank you! I’m pleased to claim Norwegian heritage (paternal grandmother long dead); and Norway is, as you say, the originator of Hygge. Yes I’ve heard the word before … and in honour of it, I’ve just lit a fragrant candle on my desk. Ah, the winter weather invites it in … as you know I’m in the southern climes. This does not preclude anyone from the practice of hygge. I will pay more attention to this. ‘Hominess’ – a lovely word. The Year of Living Danishly sounds lovely – I almost typed darishly; deliciously comes to mind. Thank you for this post, much enjoyed! A cozy feeling came over me imagining a candle being lit near Johannesburg, where you probably are tilting toward evening. Living Danishly is delicious the way Helen Russell describes it. I’m so glad you enjoyed reading. Thank you always for showing up in Comments here, Susan. 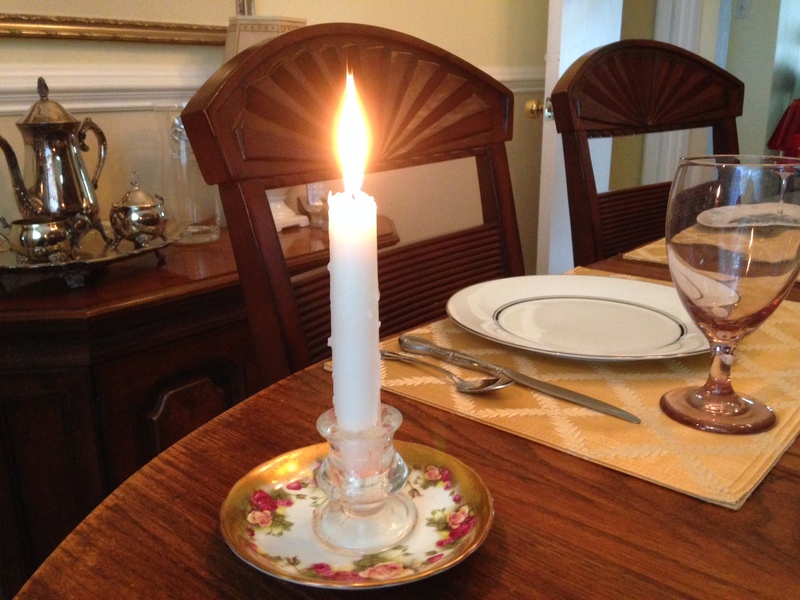 My maternal side was Danish; now I know why I love the soothing comfort of candles! My new favorites are a pair of flameless LED candles on my mantle that magically light every evening 6:30 PM. Yesterday I bought some LED candles for our fireplace as stand-ins for live flames. I have a remote, so I can set the timer. Let’s hope I can figure out how to set it. Thanks, Lynn, for your warm and cozy thoughts. This post made me feel quite cozy, Marian. I love to build a comfortable nest and crawl in with a good book. You know I too have experienced the heart pang of losing a loved one to dementia. Sometimes familiar smells and sounds help. I remember my aunt being able to enjoy hymns and Christmas tunes even through the haze of memory loss. Thanks for being an early commenter, Jill. I’m all about hygge at this time of year—I’m even looking forward to the return of snow (and the departure of recent computer issues) so we can embrace it even more. I’m going to do my best to be intentional about hygge throughout December especially. Love the conversation with your mom. I certainly sympathize with computer issues. The entire months of December and January were taken up with launching a new website about a year ago. Then intermittently, mini meltdowns occurred. I’m happy you are seeing these issues in your rear-view mirror. Linda, I derive hygge from your daily posts. The photos are calming, and I may have a cup of coffee in hand as I listen to the cadence of your calming commentary. I think it would be easier to keep hygge in Florida under a blanket of snow. Thanks for checking in today! Your Italian phrase suits me to a tee after a busy morning. Yet it runs counter to my upbringing, being hardwired with the German/Swiss work ethnic. I can definitely relate to your “hygge” practice, Jenn. This is a lovely and very timely post. We all need more hygge in our lives, especially at Christmas time. Snuggling on the couch with my dog Dot, is my coziness. As is sitting on my terrace overlooking the orange and lemon grove and reading a book. I also find coziness in baking and look forward to doing some Christmas baking soon. I am sure you miss your mom a lot and find comfort in having imaginary conversations with her. Sending hugs. Is Dot your muse? I know I’ve seen your pet on your blog and possibly Facebook too. You have touched on all the high points of practicing hygge in your reflection which this week includes some juicy citrus. Viewing orange and lemon trees on your terrace in Spain is a far cry from Canadian coldness this time of year. Lucky you! Thanks for the hugs. As the seasons change, the twinges from loss feel more poignant. Oh, Marian, this is wonderful. I never knew there was a name for wrapping myself in one of my Nana’s afghans and nestling in front of the wood stove. Your snippet about your dear mom is priceless. Thank you! Thank you for reminding me of another way to keep “hygge,” Kathy. I am so, so glad you still have your dear mother with you. We don’t have our loved ones with us forever, which makes it all the more precious. This morning at 5:00, on my way to the gym, it was a bright and clear 49 degrees. Not real cold for many, on central coast California it shows a start to coming cooler temps. I love the way the air sharpens; the sound of the train carries so far, the clacking over the tracks like the ticking on a clock! Curling up in my rocker with the latest charity crochet project in hand, and cuppa tea to warm them as needed, My comfort will hopefully bring comfort to another soon. 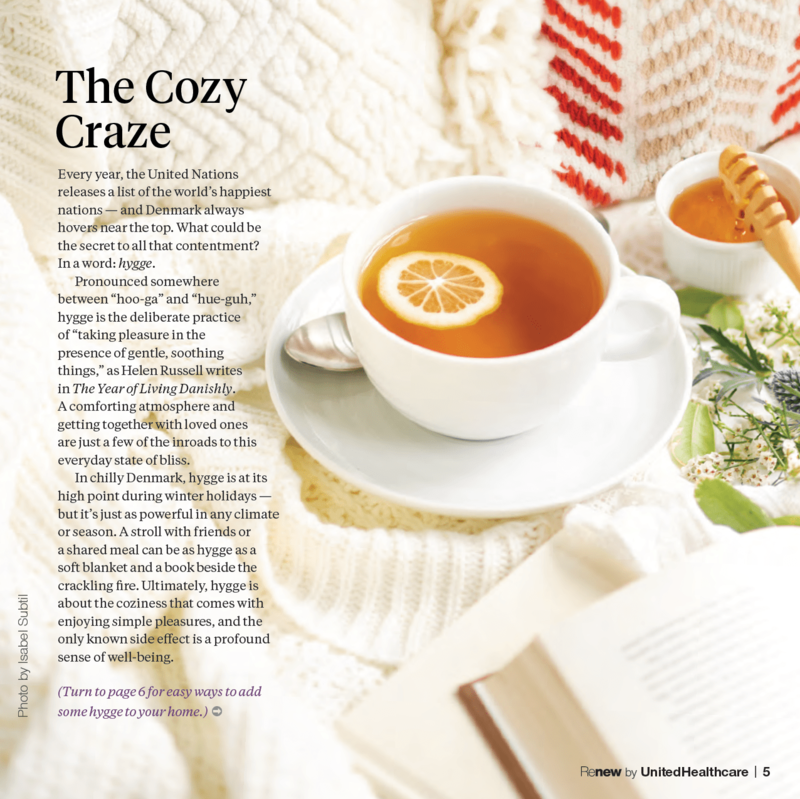 How enlightening to combine a charity project with cozy living, Ginger. Your sensory detail is simply exquisite. I imagine your California cool down to be much like ours in north-east Florida: mid 50s – mid 70s with low humidity, my cup of tea. Marian — I love this post! Not knowing any better, I’ve always referred to it as self-care. I like “hygge” (especially the pronunciation “HOO-GA”) better! I’m big on candles, reading in my pajamas, scrunchie socks, long walks along the river, soft music, warm colors, and delicious food. You broadcast HOO-GA loud and clear in your books, speaking engagements, and memes on Facebook. Recently, your FB video reminded me of the power of color to energize or refresh. Thank you, Laurie. Laughed out loud when I read your imaginary conversation with your mom! I wonder what she would say about the LED candles with the automatic shut off. I just got some of those as well. What I like about winter is exactly that feeling you get with “hygge”. You can look out at the winter landscape and be grateful for your cozy indoors, or you can go outside, have a vigorous walk and then come in, again so grateful for a home that exhudes “hygg”. My husband and I always feel that way when we come home from a trip. “Ost und West, Zuhaus am best” (East or West, at home is best) we say to each other, just like our parents used to. My mother had plug-in blue candles displayed in two front windows, the tallest taper in the middle. That’s as far into technology she ever got with Christmas decoration – ha! Thank you, Marian. I love your imaginary conversation and how you know just what your mom would say. My mom didn’t know a thing about “Hygee.” She knew about keeping her foot on the accelerator no matter what. As you know, I’m taking a crash course in Hygee. It’s still hard to give enough time to the homework. Is there something wrong with my example, dear teacher? Ah, how did that word “work” pop in again? I promise to keep practicing. It’s an art needed to counteract the political madness in these difficult times. Also a skill needed for a content and gentle old age. Thank you for reminding us that practicing coziness leads to contentment as we go “gentle into good days – and nights.” I admire your intentional practice in your art & life, Elaine. A few of my favorite bloggers must have read The Year of Living Danishly”, since I am coming across the word hygge often these days of browsing blogs. Interesting! I would think everyone’s winter, that is spent mostly indoors, could be described as hygge. Haven’t we always enjoyed candles, wood fires, cozy blankets, soothing food, the company of loved ones and comfy clothes? Or, walks in nature.? I guess now there is a term for all of this! I wonder if your housesitting lifestyle allows for picking warming climes in traditionally cooler temperatures Well, I guess such assignments would be in high demand. I see from your Facebook page you are enjoying San Diego, a good place to practice keeping the “hygge” lifestyle. The house sitting availabilities are plenty in the “opposite seasons”. No problem securing a sit in the winter in Canada or the summer in Mexico, when the owners seek refuge from the climate in their second home, or rent something, or go to their sailboat or RV. Since we prefer the best seasons in the best locations, as in summer in the Northern States and winter in the South, it is harder to find a location that suits us. This time, we lucked out with San Diego over the winter. You and Peter have pulled up stakes, cut your moorings and now see sights most of us just dream about. I suppose this is a super-sized form of hygge, enjoying every moment as you do – if Facebook is any indication. I love candles too, especially this time of year when night falls about 5:30. Thanks, Fatima. Your imagined conversation with you mother was the highlight of this post for me, Marian. I could so hear her and all the “dutch” women I have ever known in this comment. I also feel your sadness under all the comfort of hygge. Our mothers spell comfort in ways no one else can ever touch. May the blankets and candles and soups and sweaters be some solace and may your shared faith with her give you hope. You know exactly the right thing to say and the best way to express it. I feel the words of comfort through the screen. Thank you, Shirley! I am thoroughly enjoying “Life with Lydia” on Instagram. She too is learning to practice “hygge” with the great models that surround her. Your posts get at the heart of why I continue to teach rambunctious 2-year-olds at my age. I love hygge – but here in Sweden we call it ‘mys’. Looking at your fine photos with a steaming cuppa tea or coffee is one of my forms of hygge, Fiona. I wonder if the Swedish pronounce this word “miss” or “mice.” I’ll put my bet on the former. Ha! I discovered hygge last year ,and the first book I read on the subject, was Meik Wiking’s ‘ The Little Book Of Hygge’ . I loved The imaginary conversation with your mum. I am doing just that, whilst writing a memoir about my family, based on stories I have been told throughout my life . It’s been fun and an incredible learning curve . You are ahead of me on the Hygge reading scale,. I discovered Meik Wiking’s (Viking?!?!) book just a month ago. Of course, you don’t need my permission to hunker down with all of your cozy things – ha! I call it “kicking back.” After our move we’re still exhausted from all of it. We have the fire, the good books, blankets, candles and the like. But those boxes over in the corner keep calling to me and then guilt arrives. But I’ll give her the boot soon. We spent a few nights in Copenhagen on our honeymoon way back when and loved it. But it was summer. I don’t think I’d like to be there in the winter. I just checked my email Inbox which noted you liked my review of Ms. Russell’s book which led me to check my comments here. That was after Cliff and I had returned from the house-warming of a dear colleague who in late middle age (Who am I kidding!) has moved after long residence at a house near the beach. Of course we commiserated, as I do with you. It took us months to get rid of the boxes which just seem to behave like Bartholomew’s hats. I think Cliff has 2 boxes in his art studio to sort through since our move last summer. But they are out of sight and don’t bother me. Thanks so much for reading and commenting, Joan. Enjoy your kicking back time . . . and make it guilt-free! Marian Beaman, you made me feel warm, cozy, and hugged. All in this single post! You are a master of linguistics and I must confess I envy your ability to make the words roll off the tips of your fingers. Your imaginary conversation with your mother touched me as I have those conversations with my father all the time. He might have even known the word “hygge” as we are told we have some Scandinavian in our heritage, perhaps Denmark or Norway. Keep the warm and cozies coming as the NW is damp and cold right now. Off to get Bob to build a fire before he leaves for the evening! From all I can tell, Bob is a personification of “hygge” for you. How blessed you are to have such a caring husband. All the Beaman clan across the river are experiencing damp and cold right now . . . all the more need for warm and cozy stuff.